1. 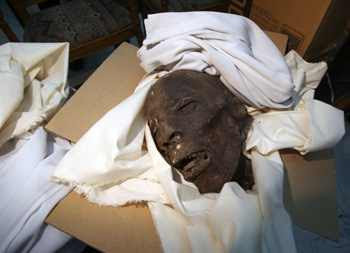 The two mummies that were reported as damaged at the Egyptian Museum, Cairo were in fact unidentified skulls dating to the Late Period; these two skulls are NOT royal mummies. These skulls were being temporarily housed in the storage room next to the CT scanner lab, which is in the grounds of the museum. The skulls were there to be used to test the CT scanner, and when they were retrieved from the looters, they were in the same condition that they had been in when they were originally placed in the storage room. 2. A reporter with National Geographic news wrote an article, which claimed I had said that the open-air museum of Memphis had been emptied of its antiquities. This claim is completely untrue. The site of Memphis, like all the other sites in Egypt, is safe and has not been looted. This reporter also claimed that a wooden boat, over 4,000 years old, housed in the Egyptian Museum, Cairo, was damaged, this is also untrue. I would like to point out that none of the wooden boats in the museum are over 4,000 years old. Due to this reporter’s inability to check facts, I have contacted the head of National Geographic to look into this situation further. 3. The tomb of Maia in Saqqara is safe. Reports that it, and other tombs such as those belonging to the Two Brothers, Mereruka and Tiye, had been damaged were proven inaccurate when I sent Dr. Sabri Abdel Aziz, the Head of the Pharaonic Sector of the Ministry of Antiquities, to check them. Dr. Sabri confirmed that the tomb of Maia has not suffered any type of damage, nor did any other tomb in Saqqara suffer any damage. I believe this is because the tombs are very dark at night, and the looters, who were likely looking for gold, were frightened and ran away without causing any destruction. Late last night I was informed that a water pipe near the conservation labs at the Grand Egyptian Museum (GEM) had broken. Early this morning I went to the GEM, which is located in the shadow of the Great Pyramids if Giza. What we have done there is a miracle; the construction of the conservation labs is amazing, and these labs are connected to the large storage magazines by a tunnel, which then connects directly to the GEM. A soft opening of one gallery is planned for 2012 to show the world that Egypt can protect its monuments. I can already say that it will be the best museum in the world. Today, I went to the GEM and every member of staff was there, even the cleaning service. The broken pipe caused 10 cm of water to accumulate on the floor of three conservation labs and the storage magazines. What is important for me to tell everyone is that the Siemens Company beautifully secured this area. There is a sensor in the wall that detects humidity levels, and if unsafe levels of humidity are detected, an alarm will ring in the security room. This alarm is exactly how the GEM conservation labs were saved last night. The broken water pipe had nothing to do with the recent events here in Egypt; it was just a normal, unfortunate accident. When I went to the GEM today to supervise, I was pleased to find that everything was fully under control. I then visited the Great Pyramids of Giza, and found that the pyramids are also fully protected, with soldiers and tanks of the Egyptian army from the top of the plateau all the way down to the Mena House Hotel entrance. I was so sad to see the plateau empty of tourists though; all I could see were the tanks securing the site. Not one tourist was there at the pyramids to enjoy the beautiful and sunny day there was there today, and it was very upsetting for me to see it so empty. In the last week, over one million tourists have left Egypt. I believe that the Great Pyramids of Giza and the Egyptian Museum, Cairo, are the two most important heritage sites in Egypt. The Egyptian Museum has 4,500 objects inside it, including the Tutankhamun artifacts and the royal mummies. The new director of the Egyptian Museum, Tarek El Awady, who I recently appointed, has been staying at the museum for the last two days; he has been sleeping there with his colleagues. Giza has not only the pyramids, but also the Great Sphinx. These are the most important things to save here in Cairo, and we have done this - day by day. The protection of these two sites is very important to me, and that is why the Egyptian army surrounds them both. Not a single thing has been thrown at the museum by the thousands of protesters in Tahrir Square, because these people do not want to damage their cultural heritage. While in Giza today, I remembered how, in February 1998, the Sphinx lost his right shoulder. The most important 10 years of my life have been spent restoring and protecting the Great Sphinx. This restoration work is special to me because I believe that the Sphinx is keeping watch; he has witnessed the bad days and the good days of Egyptian history. He is not only the guardian of Egypt, but of the whole world. I went to see the Sphinx earlier today, and I felt in my heart that he was sad. I looked carefully into his eyes, and imagined that I saw tears. The Sphinx is sad because of what has happened; Egypt will lose billions and billions of dollars, and for Egypt to recuperate this money it will take at least three years. Today in Tahrir Square there are about 3,000 young people, and I hope they will go home today, so that life in Egypt can go back to normal. I have three major operation rooms, one in my Zamalek office in Cairo, one in Alexandria in Lower Egypt, and one in Upper Egypt; I receive updates every minute. 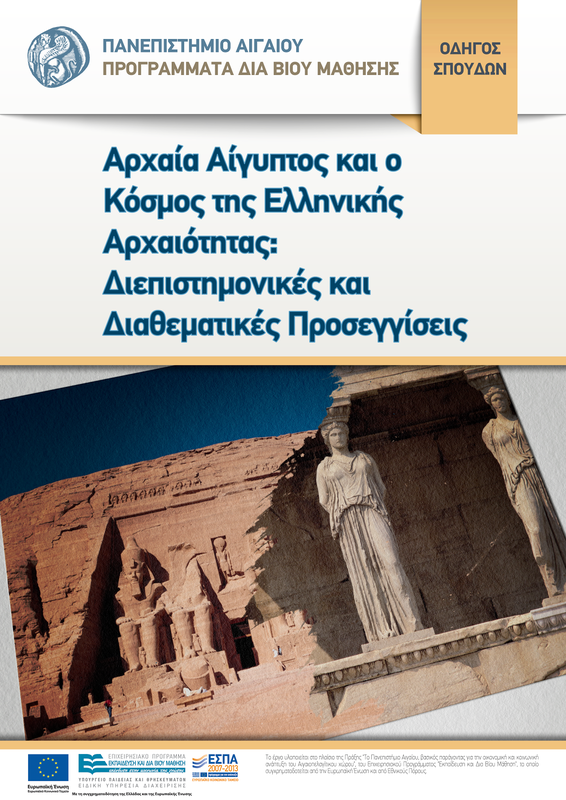 I have received reports today concerning the monuments in Alexandria: six museums and seven antiquities sites. Mohamed Abdel Maksoud, General Director of Lower Egypt, is in charge of the operation room in Alexandria. There, two of the six museums, the Jewelry Museum and the Alexandria National Museum, were open to the public and the other four, including the Greco-Roman Museum, the Marine Museum, and the Mosaic Museum, are under development. All of the museums in Alexandria are safe and secure. 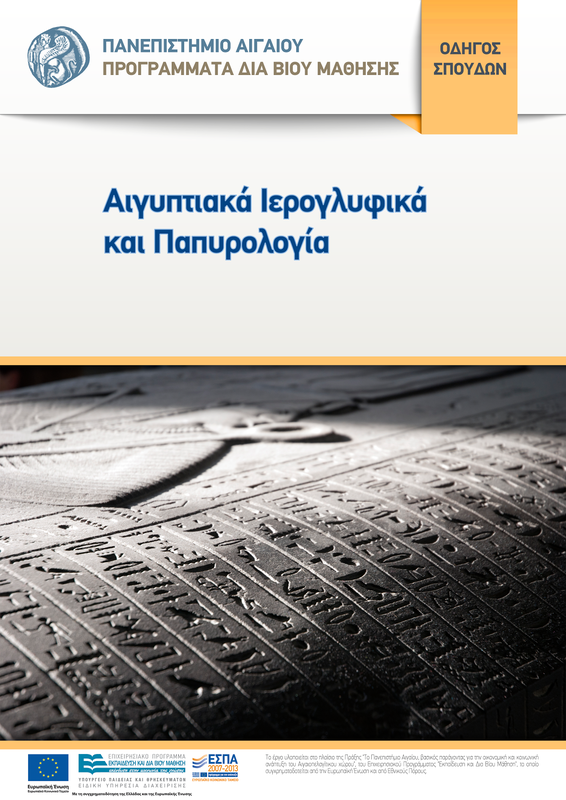 We also have seven archaeological sites that were open to the public before 25 January 2011. All are completely secure: Qaitbey Fort, the Necropolis of Anfushi, Chatby Necropolis, Kom El-Shuqafa, Pompey’s Pillar, and the Roman amphitheater (or Kom el-Dikka) are all completely protected by Egyptian security forces and the army. Last night, the operation room here in Zamalek received a message that people tried to attack the storage magazine of Tell el Fara’in, built in Desouk, Kafr el-Sheikh Governorate. Thank God that the people of the village and the security staff of the Ministry of Antiquities were able to catch two of the thieves, who were brought to the mayor’s house and turned over to the Tourist Police. This event proves to me that the forty-seven storage magazines that I built over the last nine years do protect the Egyptian monuments. Many of my foreign colleagues will remember that the old style storage rooms that protected antiquities were primitive. The site of Saqqara used to have those primitive magazines, and people would attempt to dig underneath them in order to steal objects. The new magazines, built all over Egypt, are completely secure with modern equipment and conservation rooms, and we started a database for all museums and magazines. It is easy to recognize the benefits of building these new storage magazines. They are really some of the most beautiful projects in Egypt, because for the first time we can see the benefits in every village and governorate from Aswan to the Sinai. I am very proud of that these storage magazines, all similar to one another, are proving to be so beneficial in this time of crisis. I want to repeat that not one single thing has happened to any site in Luxor, Aswan, Dendera, Abydos, Beni Hasan, Tuna el- Gebel, Beni Suef, Fayoum, Amarna, or any sites in any of the governorates of Middle or Lower Egypt".